If you’re one of what has got to be a tiny minority of people who feel that a standard Big Mac is just too damn small, McDonald’s have got some good news for you. Your belly could soon be full as the fast food chain have released the new Grand Mac, reports The Mirror. At 4.5 inches tall, it has strangely been described by McDonald’s as ‘totally untouchable’, but there’s just one drawback – it’s not available in the UK. The latest sandwich is being trialled in Ohio and Texas and features two larger patties than the original Big Mac – adding up to a third of a pound of beef and also has extra cheese and a larger bun. McDonald’s are also testing out a new ‘Mac Jr’ – a single storey version of the original Big Mac aimed at – you got it – kids. A similar version was launched in Spain in September – the Grand Big Mac Bacon and earlier this month McDonald’s Japan launched the ‘Giga Burger’ stacked with an impressive four patties. 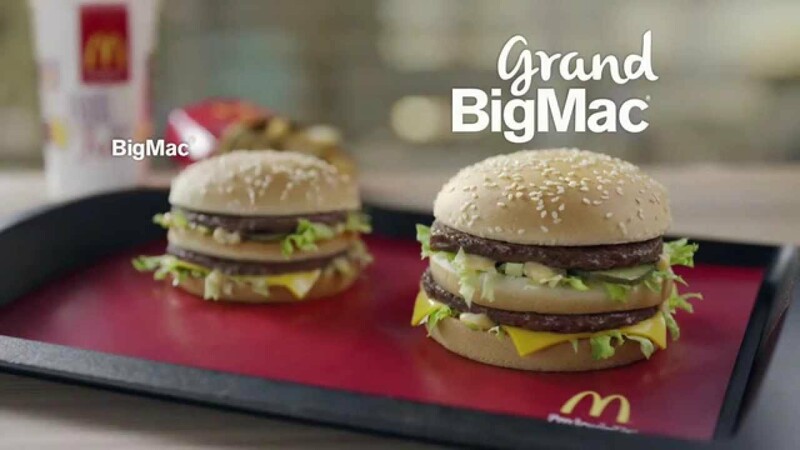 McDonald's release towering 4.5 inch Grand Big Mac - but will we see it in Britain?